Wow, all that polish! You have it nicely organized. I seldom buy makeup etc. I do treat myself to the Lancome makeup counter about once a year for a makeup session. Wooow I love the nail polish collection !! 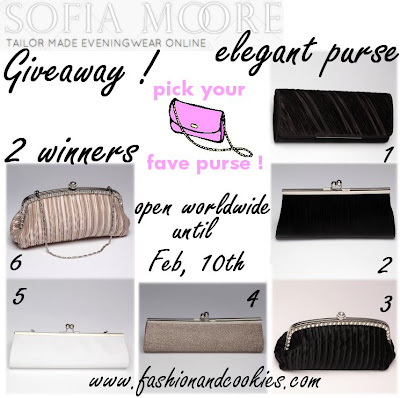 Visit http://www.urbanfashionstylee.blogspot.mx and check my new post!! wow you made some really amazing purchases. All of this makeup looks absolutely gorgeous! 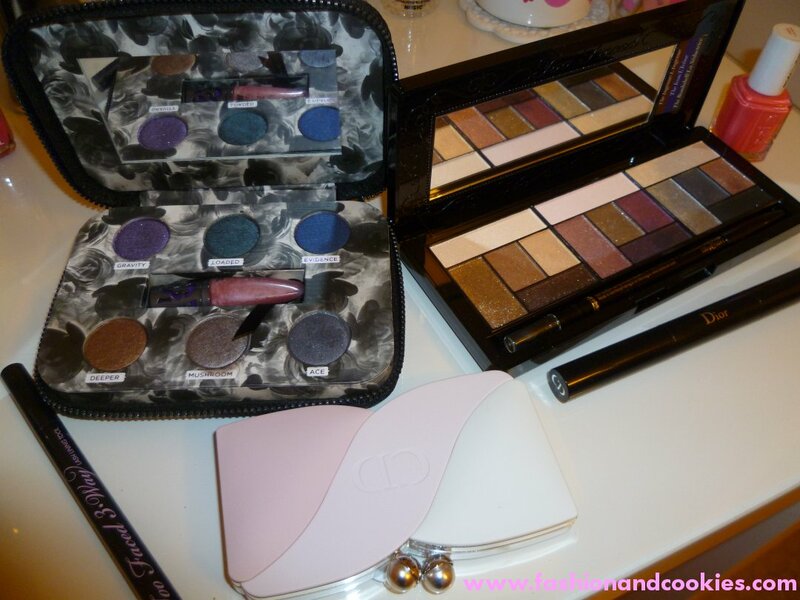 What a beautiful makeup collection! Wow!! you have so much wonderful make up products here! I'm very interested to try some of them, esp. 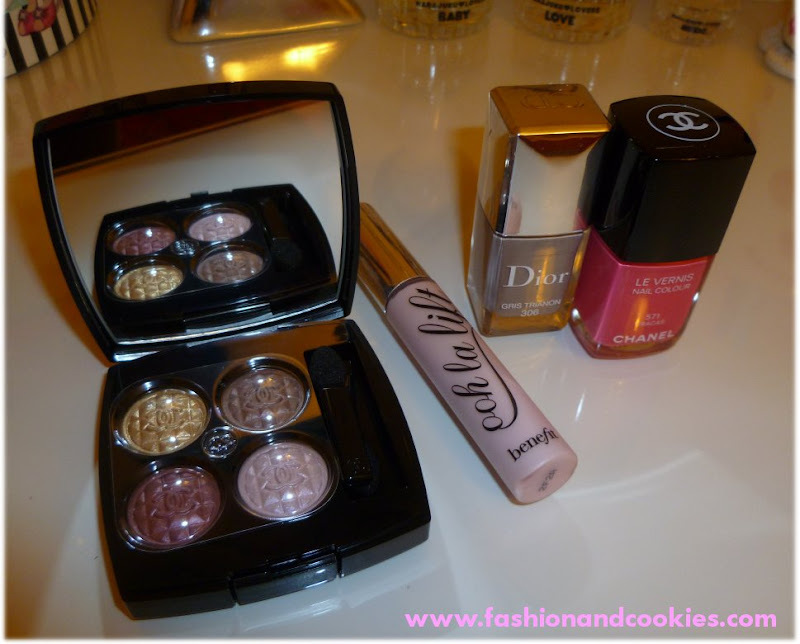 the UD Dangerous palette and new Chanel nail polish. i love all of it specially 'tease'..wow collection!thank you for comments on my post..love your blog..following now GFC & Twitter! keep in touch! Quanti smalti! 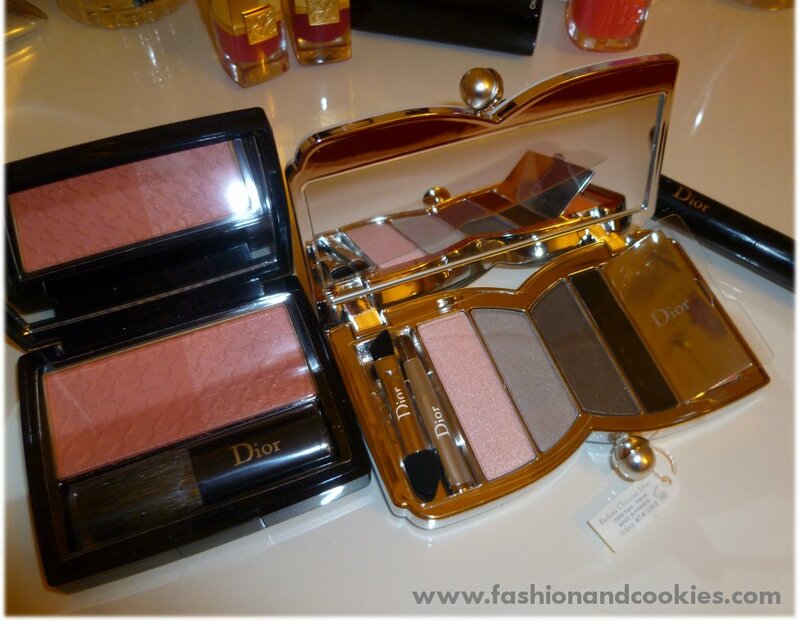 Bellissima la palette di Dior. Hai comprato delle bellissime cose! !Concordo che fare foto al make up non è affatto facile! Mamma mia quante meraviglie!!! Mi associo a Lisa,sono un disastro in materia!! are you serious??????? omg I am so jealous I want to cry....no, joking I am not jealous, that is not a good feeling, but I wish I'll have half of your stuff lolllll can not believe the amount of make up you have.... enjoy them stunning!! 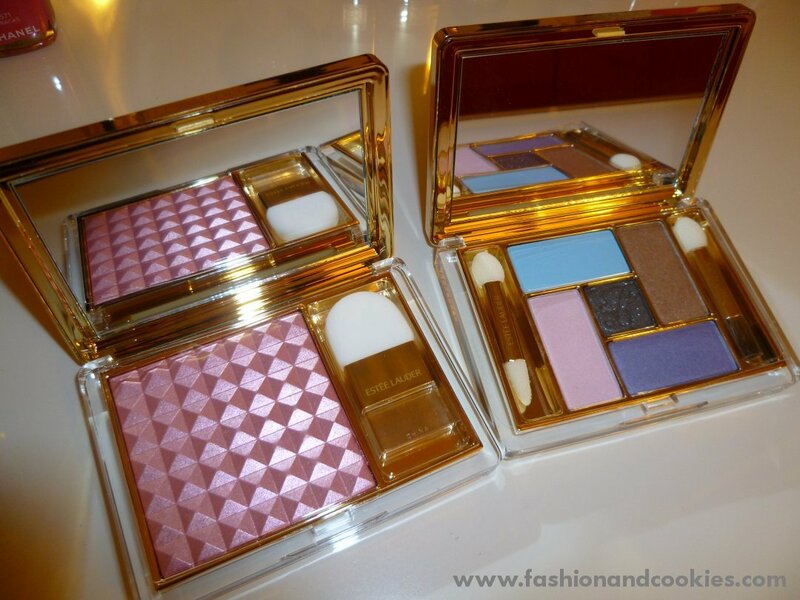 The Estee Lauder looks amazing! concordo, prima che i venga una bella foto di recensione beauty me ne vengono 20 tristissime!!! Whether it is a make up or a fahsion blog both means hard work!! It doesn´t seem easy to come up with new things about make up and new products and stuff..
We love your nail polish cabinet!! By the way, you have a lovely blog. Holy heck girl, I thought I had a ton of nail polish but you definitely win! anch'io adoro i prodotti per il make up!! hai una collezione splendida di smalti!!kiss!! You have so much collection of nail polish! 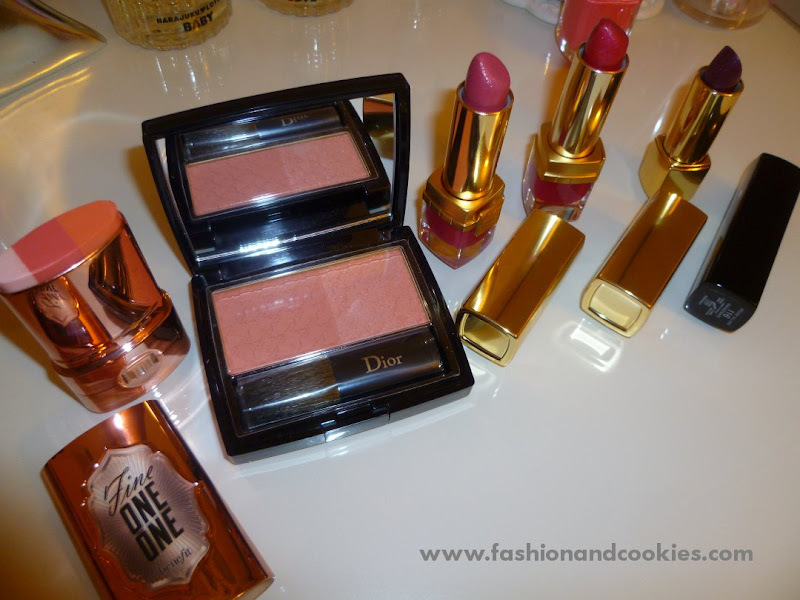 The lipstick colors are so gorgeous! Thanks for your comment on my blog. Welcome back anytime!!!!! Seriously impressive nail varnish collection... I thought I had a lot!!!! Wow, amazing!!! hai ragione! è davvero piu difficile di quelli outfit anche secondo me! comunque sei riuscita in maniera eccellente! quindi brava! questo blog è un amore! me ne sono innamorata appena l'ho aperto! complimenti per la collezione di smalti! sei riuscita ad accaparrarti Fracas! io non lo trovo già più! 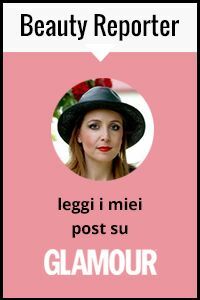 se ti va seguimi su GFC e bloglovin'! io l'ho già fatto! i love your collection of makeup. Ma quanti smalti hai?????????? Volgio provare questo ooh la lift o come si chiama, mi servirebbe proprio visto che in genere sembro un panda! vale i envy your nail polish collection, and new make-up! i want to know more about the too faced 3 way lining tool. i'm terrible with making a cat eye.